A computer programmer who wrote creative fiction in his spare time is now a best-selling novelist and he’ll appear at an Iowa City book store tonight. 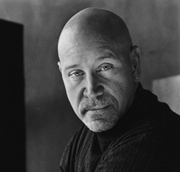 David Wroblewski wrote the book “The Story of Edgar Sawtelle.” It was the most successful debut novel of 2008 and spent 39 weeks on the New York Times best-seller list. Wroblewski says the tale is set on a small farm in northern Wisconsin. While his first attempt at a novel is already in its ninth printing, Wroblewski says he feels he’s under no pressure to write another book. He says he enjoys writing and has already started on his second novel, but says it may take him four or five years before it’s ready to publish. “It involves one of the characters who’s peripheral to Edgar’s story,” Wroblewski says. “I think of Edgar’s story as a sort of portrait of a person. This book is also a portrait of a person.” His debut novel was picked for the Oprah Book Club, which is a dream for many aspiring authors as the T.V. host’s stamp of approval virtually guarantees a book’s success. Wroblewski remembers well the day he found out he’d be joining the elite list. The 50-year-old Wroblewski is a Wisconsin native and now lives near Denver, Colorado. Wroblewski is scheduled to appear at 7 o’clock tonight at Prairie Lights in Iowa City, his only Iowa appearance.